Happy Holidays! Sonny’s new blues-inspired disc will hit the streets in late January, and Sugar Hill Records will be happy to deliver an autographed copy to your doorstep on the release date if you pre-order now through their Sonny Landreth page. The label began their pre-order campaign by offering autographed copies of the album to the first 100 respondents. We wanted to let everyone know about this special deal, but 115 SlideLines subscribers snatched them all up before we had time to get this copy posted here. Subscription has its benefits …. Sugar Hill is also offering previews of a different song from "The Road We’re On" every week beginning Monday, Dec. 2 at their Sonny page. "‘Natural World’ is one of only two songs that we haven’t played live yet, because I actually showed up at the studio with the basic song and thanks to co-producer R.S. Field’s brilliant vision and treatment of the track, I think it became the best production piece on the album. We just tore into it and played it, then went out of town for some gigs and he put a mix together. I’m not one to get on the soapbox and rant, so I’ll just let the song speak for itself lyrically. All you have to do is look out your window and see what’s happening in the environment today. I feel like the natural world is talking and we need to do a better job of listening soon." In November, Sonny and The Goners completed sessions with John Hiatt in Nashville for a forthcoming album. In December, Sonny will again join Carl Carlton & The Songdogs in the studio with special guests Levon Helm and Bobby Keys (who, incidentally, also was part of the Hiatt sessions). Live shows on the horizon include Sonny’s gig with Cajun jam band The Traiteurs at Medicine Show 6, the annual benefit concert for the Dr. Tommy Comeaux Memorial Endowed Fund for Traditional Music in the School of Music at the University of Louisiana at Lafayette. That gig will be broadcast live on KRVS 88.7 FM Lafayette, and simulcast via www.krvs.org. The music begins at 8 p.m. Saturday, Dec. 28. Performers, in order of appearance, include The Nouveau String Band with Marce Lacouture, The Bluerunners, The Traiteurs and Bas Clas. Tickets are available by calling the Acadiana Arts Council at (337) 233-7060. Hot on the heels of that show, Sonny and the band will welcome 2003 with a bang during their New Year’s Eve gig at Margaritaville Café in New Orleans. Hope you can make it out to one of these dates, or tune in and support the Comeaux Fund. 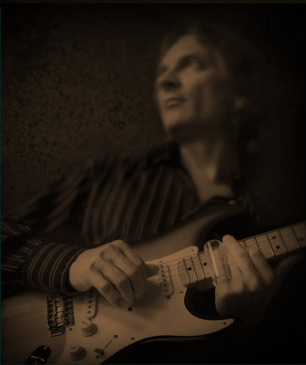 Thanks again for your support, and please spread the word about SonnyLandreth.com and SlideLines.